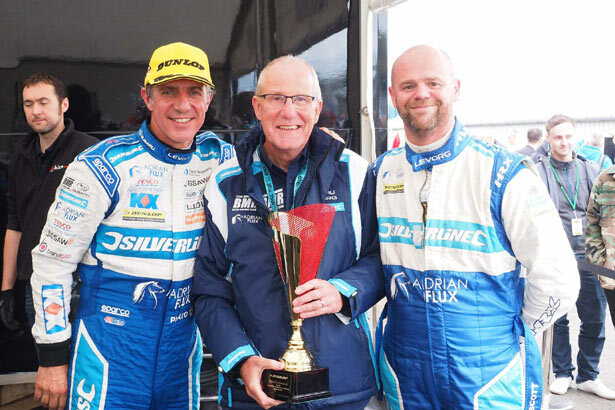 Daily Mirror - The Inside Track with Silverline Subaru BMR Racing - Scotland, celebrations and even more success! 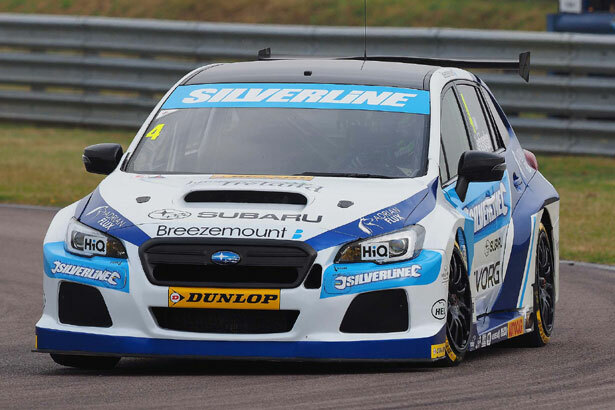 The Inside Track with Silverline Subaru BMR Racing: Scotland, celebrations and even more success! After our fantastic weekend at Snetterton and everything that went with it, it was a complete team relocation to Knockhill in Scotland and our most distant round. The trucks went up early in the week and the rest of the team flew up - something that stretches our logistics genius to the limit. 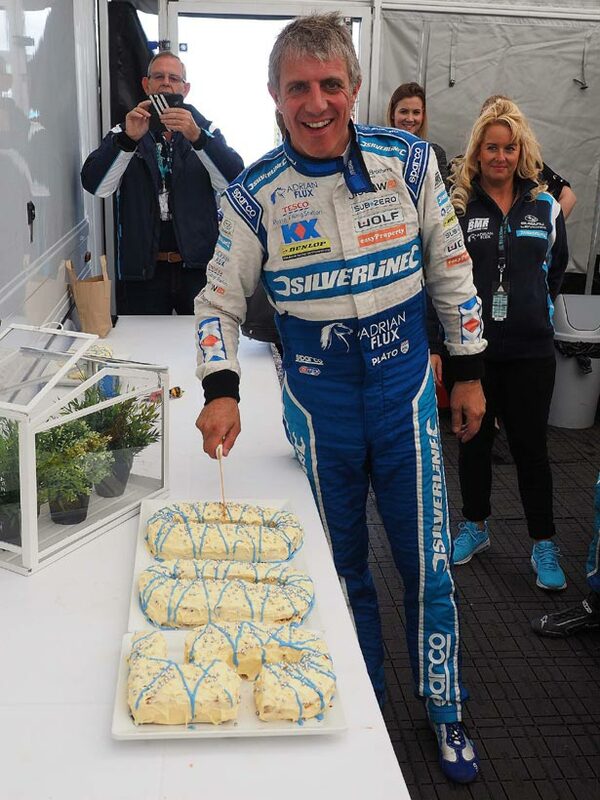 It was a very important weekend for us as Jason Plato celebrated his 500th BTCC race there and the team celebrated their 100th BTCC race. Cakes were made and the weekend was a great success for everyone concerned with the team. Not surprisingly though, it was Jason who grabbed the headlines in the best possible way. Saturday qualifying arrived and he was right at the top of the tree taking pole position for his 500th race on Sunday. He then followed that up with a storming drive and race number 500 in his illustrious career provided him with a win and the chance to celebrate on the top of the podium in style. The weekend wasn't quite a one man show though as Colin Turkington continued his fabulous form with another podium and over the course of the weekend we picked up pole in qualifying and four podium finishes - pretty good yet again and on a circuit that we weren't sure would suit the car! 'Onwards and upwards' as they say. Next up was the trip to Rockingham in Northamptonshire - a circuit that is half American oval and half very technical twisty bits on the infield. Here we saw one of the drives of the season in the third race where Colin Turkington finished 3rd which was a brilliant result considering he started 15th on the grid. We all felt a bit sorry for Warren though who, despite driving a near flawless weekend, once again seemed to be a crash magnet for those with limited driving ability around him. Still, we got another two podiums from the weekend and another decent haul of points. So now we head into the last two rounds of our maiden Subaru season at Silverstone and Brands Hatch. With Colin Turkington 6th in the Drivers' Championship and Jason Plato 8th we wonder where we might have been if we had started the season with a fully sorted package. We are 4th in the HiQ Teams Championship standings and again that 'what if?' question comes to mind! Still, we are where we are and we have come such a long way in a short time. We plan to finish the season strongly and get ready for next season with the knowledge from this year and a desire and hunger to win the title next year. See you at Silverstone.